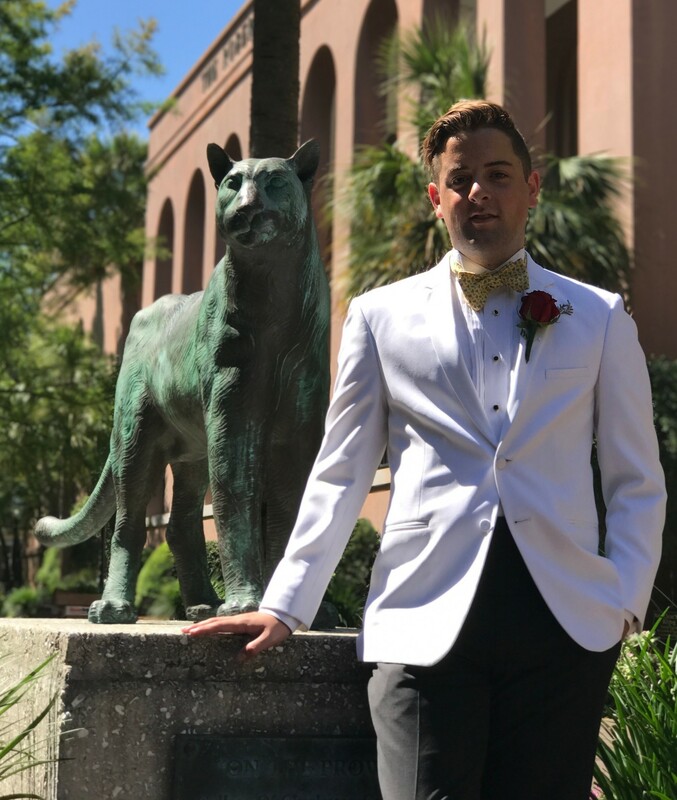 Brendan Geiling, a senior political science major and communication minor, wanted to gain experience in the emerging field of brand development so he contacted Charleston based Garden & Gun to see if they would be willing to host an intern. Geiling researched the magazine’s website, discovered that they had a team that specialized in his interests, and was able to secure the internship. Charged with various brand development research projects, Geiling focused on social media, product development, and email marketing. He created copy for social media, assisted with art recommendations for ads for the magazine’s website, and researched software solutions to integrate the magazine’s commerce and email marketing software systems. He also had the opportunity to research the magazine’s brand partners and compile reports for company sponsors like Volvo. Geiling noted that he pursued the internship because he is a tactile learner. Along with honing his teamwork and technical skills, Brendan quickly learned the importance of attention to detail. He enjoyed participating in the art recommendation process for advertisements and was amazed how the selection of products, background images, and fonts can be quite a time-consuming process. It reinforced for him how important it is for the magazine to have a cohesive brand image. In addition, Geiling integrated his interest in social media into his political science capstone paper on the Arab Spring under the direction of Professor Chris Day. He studied how social media can be a tool for social justice and change. For example, he cited how social media helped Tunisia and Egypt create collective action which resulted in changing their government regimes. Geiling’s research on successful and unsuccessful models led him to create a guide on how to effectively use social media for social change. Brendan became interested in social media while interning for a luxury retail company in high school and has forged a very intentional and unique career path. He has complimented his political science major with communication and computer science courses and taken on a number of social media-related jobs. He intends to first pursue digital branding in the entertainment industry in either Los Angeles or New York City and then a political communications career.